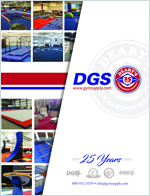 Over 100 drills to develop the essential base strength for gymnastics. Strength is one of the most important elements of gymnastics. This instructional gymnastic DVD covers how to create a fundamentally strong strength base that will be built upon through out the gymnasts career. 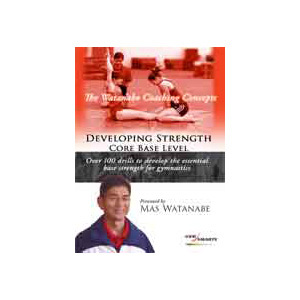 Mas Watanabe explains how to develop solid core strength for your body that creates those long elegant and beautiful lines that we treasure in our sport of gymnastics. High level gymnasts from Byers Gymnastic Center demonstrate these crucial strength exercises and drills that builds this solid core. Developing out from this core are exercises and drills for the legs, shoulders and arms to complete all the elements necessary to have a great strength base that will improve your body lines, quickness and make your movement as efficient as possible.